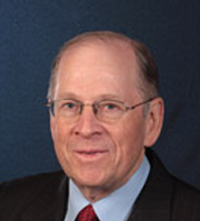 Dr. Frank Gibbard is a seasoned executive in the field of electrochemical power systems. He has managed battery and fuel cell activities at levels of responsibility ranging from senior scientist to Vice President R&D and as the Chief Executive Officer of two publicly-owned NASDAQ companies — H Power Corp, an early-stage PEM fuel cell company; and Altairnano, a lithium ion battery company. Frank holds a Ph.D. in physical chemistry from Massachusetts Institute of Technology and is an internationally recognized leader in energy storage and power generation. His technical experience includes directing and carrying out work on primary and rechargeable batteries, including the following: lithium ion, nickel metal hydride, alkaline manganese oxide; alkaline zinc air; high-rate and reserve lithium thionyl chloride; lithium sulfur dioxide; lead acid; flowing-electrolyte redox; zinc bromine; high-temperature molten salt rechargeables; and thermal primaries. As CEO of H Power Corp., a proton-exchange membrane fuel cell company, Frank grew the company from 17 employees to more than 200 and led its IPO to raise more than $100 million in public equity capital. He has published and presented more than 100 technical papers in journals, conference proceedings, and battery handbooks. Greg Cipriano has 35 years of experience in technology commercialization, strategic partnerships, and in the development and launching of new products into early markets. He is a hands-on engineer and serial entrepreneur who has founded, built, and exited three businesses. He has a proven track record in the successful development and commercialization of advanced high-tech products that have produced over $500M in new revenue. Greg was most recently the VP Business Development & Marketing at Protonex, a military portable power systems provider, based on advanced fuel cell and power electronics technology. At Protonex, he developed and secured major DOD and DOE funding for power and energy development programs in the multi-million dollar range. He also helped build the company from 6 to 120 people, closed over $50M in early revenue, forged major strategic partnerships, and participated in an IPO on the London Stock Exchange. Greg’s business and product development experience includes OEM and end user products for the energy, defense, communications, and healthcare markets. He was the founder of Affinity and HealthCom (both acquired), and the founder and President of Internexsys, a renewable energy project development and consulting firm. He has also held executive positions at California Microwave, Prime Computer, Instrumentation Labs, and PR Mallory Labs. He has a patent in early switched digital telecom equipment and patents pending in flow battery systems. He received a BSEE from Worcester Polytechnic Institute and attended the MIT Sloan School of Management, Executive Education Program. Reinder Boersma is a 25 year veteran of the battery and fuel cell industry and has successfully developed a range of products for these markets. He has led engineering teams of 5 to 50 people and has a wide range of product development skills, including mechanical, chemical, electronics and controls engineering. He has served in many positions as the system architect, responsible for system and subsystem specifications working with the product and marketing teams. 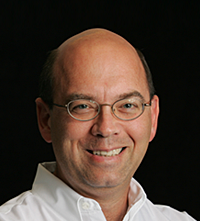 Prior to joining WattJoule, Reinder worked at Imergy Power as the Director of System Architecture. There he made improvements to the flow battery stack and balance of plant, made significant cost reductions and improved product reliability. A number of these systems are presently running in the field. Earlier, Reinder worked at UTC Power on their 400 kW PAFC power plant and made several critical improvements, one of which is now known as the “Boersma effect.” Prior to this, Reinder worked at CTP Hydrogen and invented a hydrogen separation technology based on mixed ionic conductors. The technology employed a single process step to extract pure hydrogen from a wide range of fuels. Reinder was also a major contributor to the materials development of this system. Earlier, he worked for VersaPower as the head of engineering where he developed a first generation 5kW SOFC 5 cogen system. Prior to this, Reinder held positions at The University of Waikato in New Zealand and at the Netherlands Energy Research Foundation (ECN). Reinder has 10 patents and a MSME from the University of Twente in the Netherlands. 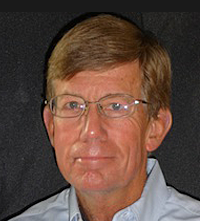 Pat Hearn has 40 years of experience in R&D and product development with emphasis on product design for low cost and rapid transition from lab concept to high-volume manufacturing. His most recent responsibilities were Director of Fuel Cell Stack Development and Director of Advanced Fuel Cell Products at Ballard Power Systems for the last 11 years. Prior to that, he was Senior Director of Advanced Technology and Engineering at Quantum and Maxtor Hard Disk Data Storage companies, and engineering team leader and mechanical design engineer at Digital Equipment Corp, Data Storage Division. Pat has developed and managed highly successful teams of over 100 engineers and scientists, and launched products generating more than $500 million annual revenue. In these roles, Pat was effective in building strong engineering team infrastructure and pioneering engineering and manufacturing pilot lines. His design practices emphasize rigorous product and component specifications, substantial design margin and thorough product qualification testing to assure high manufacturing yields and consistently high quality product. Pat commercialized the first DEC hard disk drive for the OEM market and has many years’ experience interfacing with critical suppliers and customers. Pat has 8 US patents and a BSME from the University of Massachusetts at Lowell. Dr. Thomas Zawodzinski is presently the Governor’s Chair in Electrical Energy Conversion and Storage, with appointments in the Chemical Engineering Department at the University of Tennessee Knoxville and at ORNL involved in flow battery and fuel cell research. He previously was the Ohio Eminent Scholar in Fuel Cells, Director of the Case Advanced Power Institute, and the founding Director of the Wright Fuel Cell Group. Dr. Zawodzinski is a Fellow of the Electrochemical Society and played leadership roles in more than $100 million worth of research projects, including projects on fuel cell materials and systems, such as development of new polymeric membranes for automotive applications at elevated temperature and low relative humidity, electro-catalysis, gas diffusion media and fuel cell durability, as well as projects related to batteries, electrochemical sensors, electro-responsive polymers and other applications of electrochemical technologies. 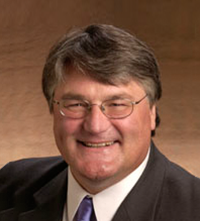 Dr. Zawodzinski was the PI for the Wright Center for Fuel Cells in Ohio. As Team Leader for Fuel Cells at Los Alamos National Labs until 2002, he led a comprehensive program with R&D components related to automotive, stationary and portable power applications of PEM and direct methanol fuel cells. In addition to his continuous involvement in the fuel cell program, he initiated and led programs including preparation of new electrolytes and new methods for studies of transport and electrode materials in Li batteries. 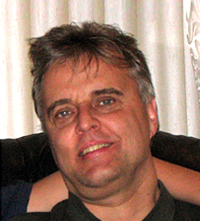 Tom has published more than one hundred refereed papers and a number of book chapters, holds two patents, has co-edited several books on fuel cells and related topics, and has been an active public speaker with hundreds of presentations and short courses given around the globe on fuel cell and electrochemical devices. Dr. Zawodzinski received his Bachelor’s and Ph.D. degrees from the State University of New York at Buffalo.